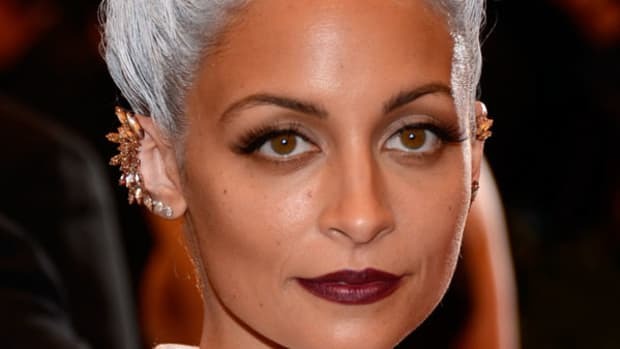 Now that we&apos;ve got the WTF moments out of the way, let&apos;s dive into the best of Met Ball beauty. When it was good, it was very, VERY good! If I had to pick the one celeb whose style I&apos;d kill to emulate, it would have to be Sienna. Met night was no exception: besides all the cool things happening below the neck (studded jacket, long white dress), I&apos;m all over the hair, makeup and ear candy here. Let&apos;s talk about the hair first. Oscar Blandi prepped with his pomade, mousse and serum to make it feel "thick and dirty" before adding more bedhead texture with a curling iron. YES! This is the modern way to work with hot tools! Then, he pinned one side back and added a spikey hairband (you can buy a cheaper copy here). Ahhh... so cool it hurts. 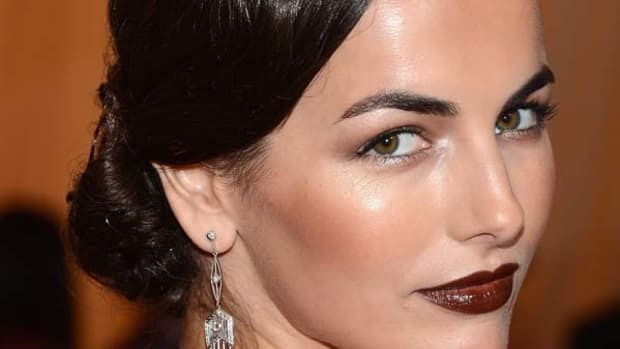 Makeup, too, was classic Sienna: black-rimmed eyes with matte, peachy lips and blush. Just perfect. The other departure here is the makeup. With Cara&apos;s exquisite eyebrows—have you ever seen anything like them in your life? ?—it made sense to do an elaborate smoky eye, mixing matte brown/black shading with a slight glimmer at the inner corners. And there&apos;s no re-touching here, people. This is why Cara makes the big bucks! That skin is unbelievable. How fun was this one? It&apos;s the runner-up to Sienna for me. Given the choice between which one I&apos;d personally wear, I&apos;d probably default to the safer, grungier Sienna style... but I absolutely love the idea of a hot pink on the eyelids. You wouldn&apos;t think it could work, but it really does! And it&apos;s the perfect choice for someone like Emily, whose style is not really punk. She wore her hair in her usual elegant updo, but the graphic pink on the upper lids gives it just enough of a twist. Here are the exact NARS shades she used. There are only a handful of women in this world who actually look better with black-red lipstick, and Rooney Mara is one of them. (I don&apos;t know who the other peeps are... but I&apos;m certain there aren&apos;t many of them.) With her bone structure, delicate features and rounded hairline, the stark makeup makes her look like a perfect, porcelain doll without a single flaw. Unless you&apos;re lucky enough to have the same genetic gifts, then I don&apos;t really recommend this look. (See: Katy Perry.) But I do really love the whole shebang on Rooney: beautiful brows, just enough lashes, precision lips and the utter lack of blush. It was unlike anybody else on that red carpet. Oh, look—Michelle&apos;s growing out her hair! And as another not-very-punk type of person, I think the choice of a studded headband was very wise indeed. It gives her in-between length more of a style, and it&apos;s just edgy enough for her normally gamine personal style. It&apos;s also a cool hair accessory that the likes of us can totally copy! And kind of cooler than a normal headband, which can easily look too librarian-like. But back to the makeup. The blue lashes are SUPER cool, and her dewy skin plus the peachy hue on her lips and cheeks tie the whole thing together. I wasn&apos;t sure about the blonde at first, but I&apos;m going to come out now and be on Team Anne. It kinda works for her. I&apos;ll always be more of a fan of her with long brunette hair—see the GGs in 2011—but compared to her recent showings with the brunette crop, I think this new colour is better. This worked, but most of the time, like at the Oscars, it was super-boring. So I like that the blonde gives Annie a bit more style... even though the colour&apos;s a tad brassy. 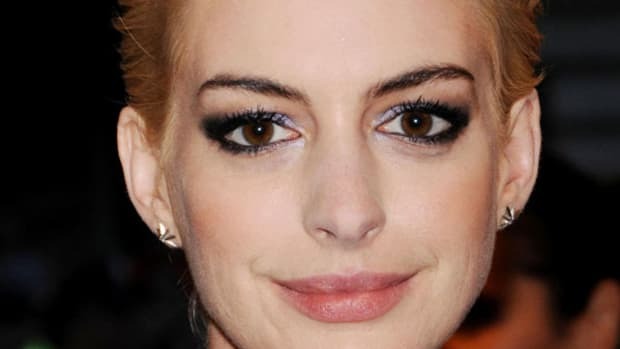 I also like her eye makeup here—the lavender at the inner corners gives the traditional smoky black a cool twist. Poor Gwen has been looking a little waxy lately, thanks to whatever derm treatments she&apos;s been dabbling in... but I&apos;ve gotta give her credit here because I think she looks amazing. As always, I appreciate the dedication to her intensive root touching-up schedule (the blonde is perfect), and I love the way it&apos;s been styled into a braidy twist at the back with a curtain of sleek, straight hair left loose on one side. A severe look, but one she pulls off beautifully. Makeup, of course, consists of her signature red lipstick and strong black eyeliner. Speaking of the latter, will you look at the tail on that thing? That&apos;s artistry right there. Diane is a longtime Met Ball darling, so I was SO curious to see how she&apos;d work punk into her normally elegant style. Here&apos;s the answer: a dip-dyed ponytail that hairstylist Rebekah Forecast created to look as if she could have done it herself. Notice the "dirty" hair texture and the ear cuff adding more edge. But then the makeup is more classic, because I don&apos;t think Diane would look right any other way: grey tones softly blended all the way around the eyes, with a hint of shimmer. Like her younger sister, Dakota (age 19) took an eye makeup risk... I just think this one worked out better! The thick black slashes at the outer corners are very runway-inspired, since we&apos;ve been seeing sharp, graphic lines for a couple of seasons now. 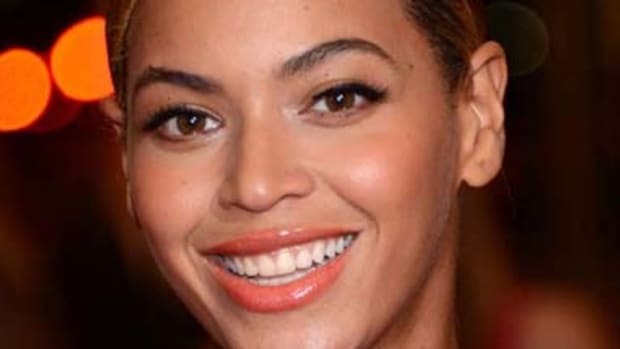 What makes them more fun, though, are the little angles at the inner corners and the subtle white liner. So cute! And a lot fresher than the way January Jones did HER eyes. To complete the look, Dakota wisely stayed with naturally-textured hair and bare skin. Now for a few honorable mentions of peeps who I thought looked great... but weren&apos;t really (or at all!) punk. Amber Heard: Loved her over-one-shoulder waves, but I think she&apos;s at the wrong event? Emma Watson: The prettiest blush and lip colour of the night, but I expected more of an effort from her since she definitely could&apos;ve pulled punk off! Amanda Seyfried: One of her best beauty looks, between the hair and the eye makeup. 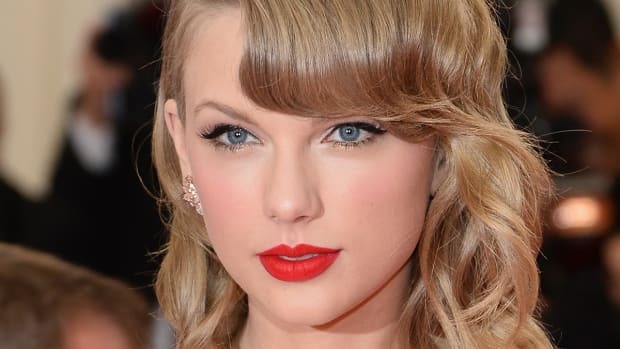 Taylor Swift: I think this is as much as we could hope for her at a punk event. Still really pretty, though. Solange Knowles: Um, you look great, but the invite didn&apos;t say disco! 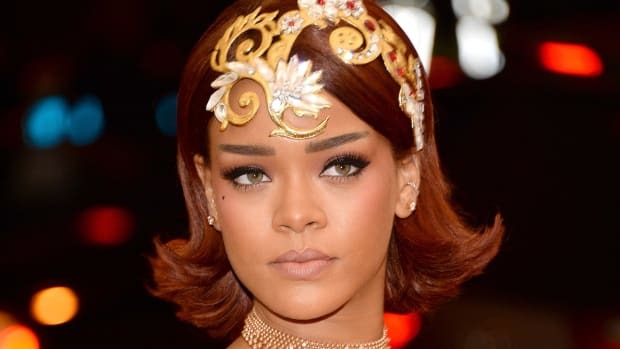 To see ALL the Met Ball beauty looks, check out the full image gallery. Who was your absolute favourite of the night? Which of these trends would you actually wear in real life? Who else do you think should or shouldn&apos;t be on this list? What were these celebs thinking? !